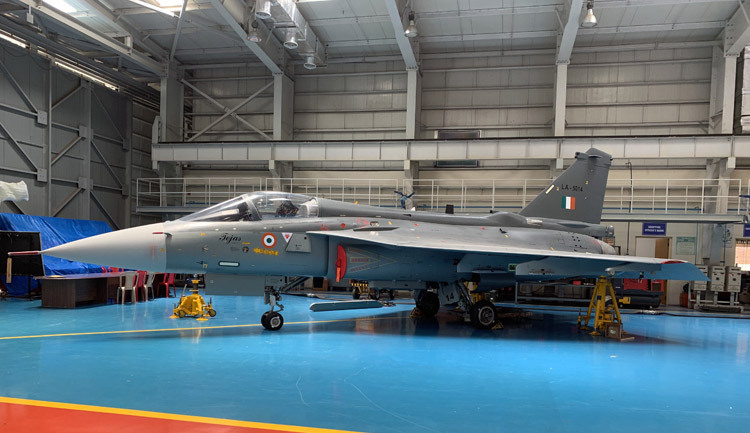 The 16th serial-produced LCA Tejas fighter at the end of HAL's assembly line. This completes the production run for the first order by the IAF for single-cockpit Tejas fighters. HAL believes it has the capacity to ramp up production to 24 fighters a year, now that it has a strong supply chain in place. Hindustan Aeronautics Limited (HAL) on March 25 announced that it has completed the production run for the first order for 16 single-cockpit Light Combat Aircraft (LCA) Tejas in the Initial Operational Clearance (IOC) configuration. "HAL has produced 16th LCA as per the target till March 31, 2019. The customer flights are expected to be completed by the end of this month," India's sole aircraft manufacturer announced in a statement. Having finally achieved this much-delayed milestone, HAL can now focus on production of the second lot of 16 single-cockpit Tejas fighters in the Final Operational Clearance (FOC) configuration, which is more combat capable than the first lot of IOC fighters inducted into the IAF's No. 45 'Flying Daggers' Squadron based at Sulur, where India does not face any hostile adversary. HAL on February 20 received "limited clearance" FOC for the Tejas, with the certification agency CIMILAC authenticating air-to-air refuelling, beyond visual range (BVR) missile firing and ground attack capabilities, besides expansion of the flight envelope. Although a final FOC is till work-in-progress, the combat capability of the indigenous fighter was validatedin the IAF's recently-held 'Gagan Shakti' firepower demonstration by firing the Beyond Visual Range (BVR) Air-to-Air Derby missile. More delays at the production end - serial production started in 2014 - resulted in the first IOC LCA being delivered as late as 2016. Now, with the limited clearance FOC certification, the production focus shifts to FOC variant of Mark 1. "With this HAL can start working towards productionisation of FOC standard fighter aircraft. The first aircraft in FOC configuration may roll-out by the end of this calendar year," the HAL statement added. Production capacity for the Tejas has been doubled from eight a year to 16, with the setting of a second production line at a cost of 1381.04 Crore. 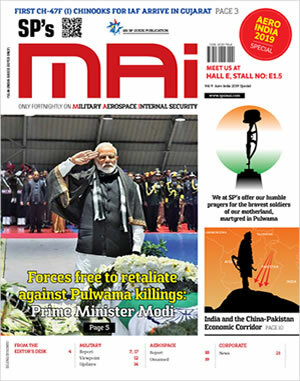 "A second production line has been established at Aircraft Division (Bangalore Complex), which is carrying out structural assembly, final assembly and equipping of the aircraft," HAL stated. 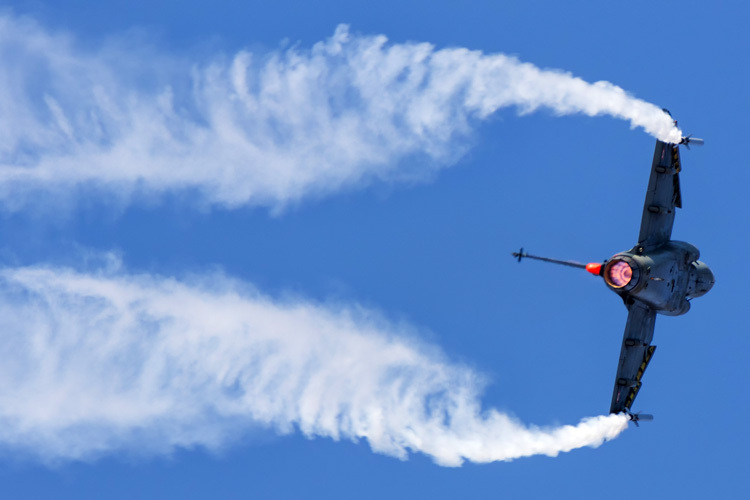 HAL Chairman R Madhavan, at the recently-held Aero India 2019, indicated that the production rate of the LCA could be further ramped up to 24 a year because of the setting up of a robust supply chain. HAL would be focussing on assembly and equipping of the aircraft. The LCA has now been 36 years in-the-making, and development goalposts have changed. While the IAF is supporting the development effort, the Mark 1A variant - for which development goalposts are not fully met despite the interim FOC - has been termed as a "three-and-a-half generation fighter". The version which would be closer to the IAF's requirement, despite several other limitations, would be Mark 2, which requires substantial redesigning of the airframe to fit in the more powerful GE-414 engine. That looks like a distant landmark at the moment. Beyond the first two lots of 40 aircraft, the IAF has committed itself to the 83 more of the Mark 1A variant, which is also under development. The contract for this lot is expected to be signed soon.